Motokura is a native resident of Japan. 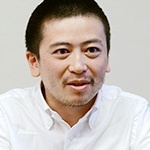 After graduating from his university program, he officially joined Nintendo in 1999, initially working as a Graphic Designer for the Entertainment Analysis & Development Division. His first prize work was 2D graphic design on Pokémon Stadium 3: Gold & Silver for the Nintendo 64.